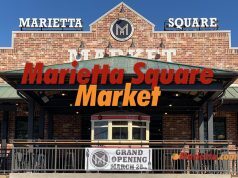 The Marietta Food Truck Rally takes place every Monday from 5pm to 9pm at a new location – Harry’s Farmers Market in Marietta. 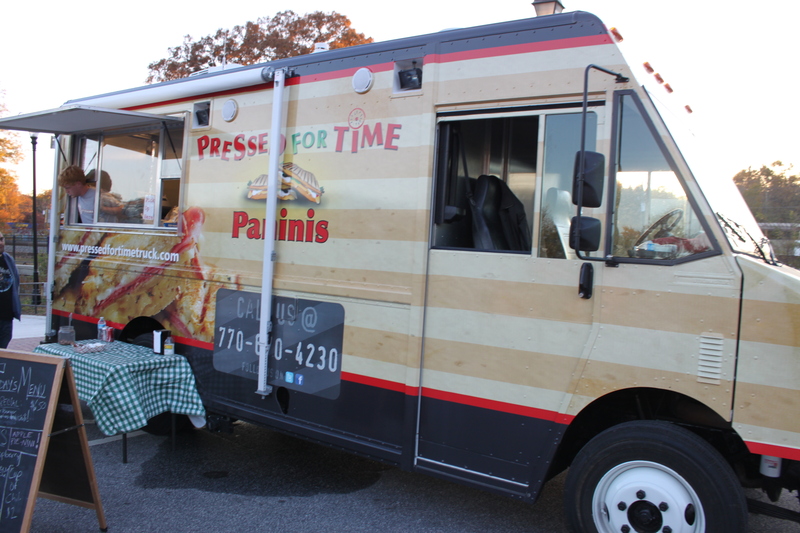 The event features a variety of different food trucks from the metro area’s thriving street food scene. The Marietta Food Truck Rally is presented by the Atlanta Street Food Coalition. For more information, please visit AtlantaStreetFood.com. Well, we went to the square on Monday night, Nov. 19th—very excited about the food trucks. They did not exist. We drove around for a good 30 minutes, though I looked at the map, and knew right where they should be. We finally found a restaurant to eat in instead, and when we asked—he said he knew nothing of the food trucks. What a bummer! Sorry to hear that. The food truck rally is not on the Marietta Square, it is located at Meeting Park on Roswell Street between Waterman and Atlanta streets NEAR the Square. I knew it wasn’t on the square, I could tell that by the map. I drove up and down every street from the library on up to the square, but we could not find them. We got there about 7:45-8:00, and it says on your site they are there 5-9:00. Could they have closed up early and left? My wife and I came to meeting park. We’ve been driving around for 10 minutes but there are no food trucks. Am I missing something or does the city have to get its act together? Sorry to hear that. 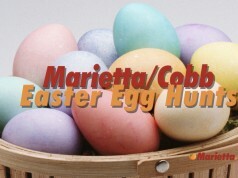 The event is still listed on the Atlanta Street Food Coalition website for today, Nov 26 and next Monday, December 3rd, however we have removed the final two dates from the Marietta.com Calendar of Events. I want to know how to get in contact with a food truck to have them come to my job on certain days. We have seen food trucks parked outside certain businesses and never knew how to get one to come to our location.